We are a top notch supplier of Agate Lamp. We offer only designer lamps. These lamps are not objects to light up your house but pieces of art. Dimension - Paper Box Size 26.5X16 Cms. Description - A unique designer Diya in vibrant colours with umpteen combinations. Pair in Paper box packing with window display. A personalized gift marks a great beginning of love. This personalized lamp is perfect to relive the memories of happy moments. It is nice to see smiling faces of loved ones especially when they are missed the most. 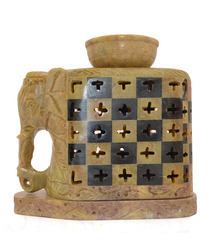 Gratify them with this personalized lamp that lits up the best memories. 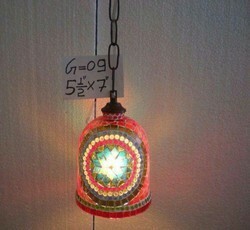 Red and white floral hanging gagan mosaic lamp.